AND TAKE PART IN CREATION OF: is a digital platform, born from a deeply-rooted love of games, utmost care about customers and a belief that you should own the things you buy. is the optional gaming Client designed for convenient purchasing, playing and updating games, as well as online play between gaming platforms. 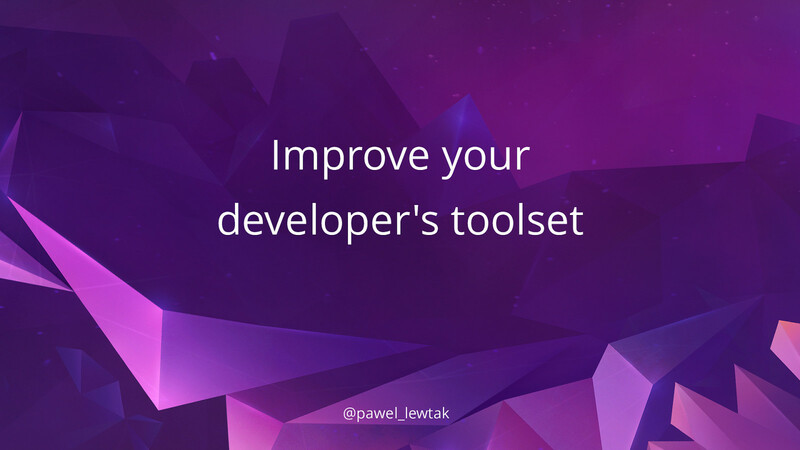 View Improve your developer's toolset on Notist. For Python development, we mainly focus on IDE, browser and sometimes a command line. I want to focus on command line tools which seem to be a bit forgotten these days. Let me show a few tools I’m using on daily basis and how they helped me become more productive. I’ll prove it’s possible to start up a new environment from scratch that feels like $HOME. Finally, I want to convince you how important it is to constantly challenge yourself and your tools, how useful is a custom toolbox tailored to you.